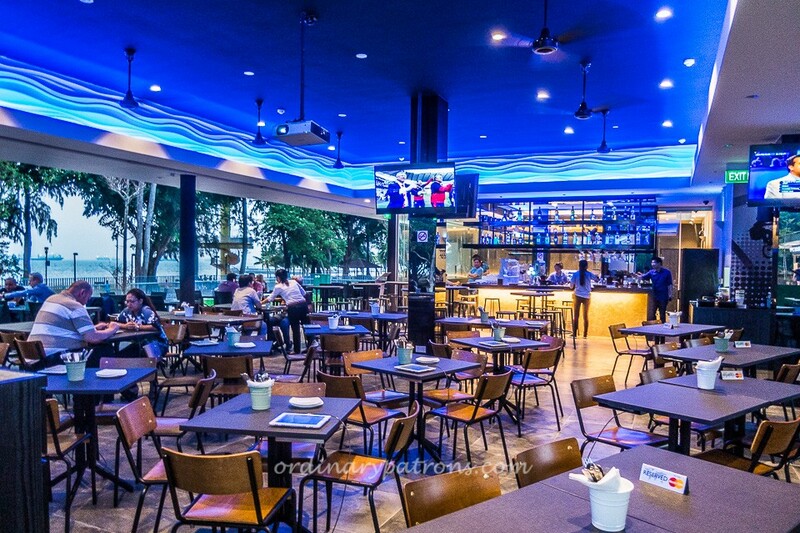 If you ever need an excuse to go to East Coast Park, you can now suggest going there to check out the nice new bars and cafes at Parkland Green. The National Parks’ project features a mix of dining and recreation retail outlets and has a 1-hectare open lawn. You can bring your own food and have a picnic at the lawn or enjoy eating at one of the restaurants there and ending with drinks at a bar. Sandbank is a family-friendly cafe with an in-house bakery serving pastas, pizzas, pies, sandwiches, deserts, chargrilled meats and seafood. There is an interesting 15 metre plunge pool for customers of Sandbank; you can order drinks from the poolside bar. On weekends, they have an International Breakfast Buffet at $19 for adults and $9.50 for kids (4-12). 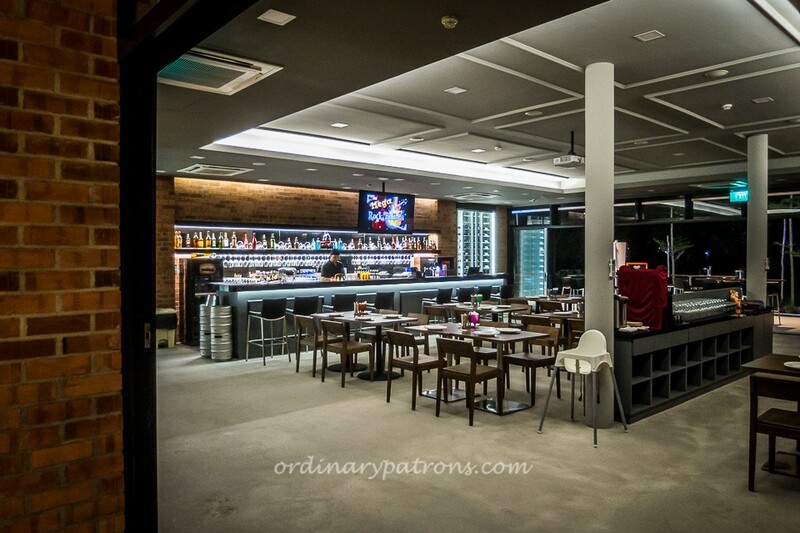 A micro-brewery that offers burgers, pizza, sandwiches and western styled grilled seafood. Atmosphere Bistro has bistro offerings in the day serving cakes, pizzas, baked rice, burgers and mains such as duck confit, baby back ribs, miso salmon and cajun chicken. It transforms into a bar at night. 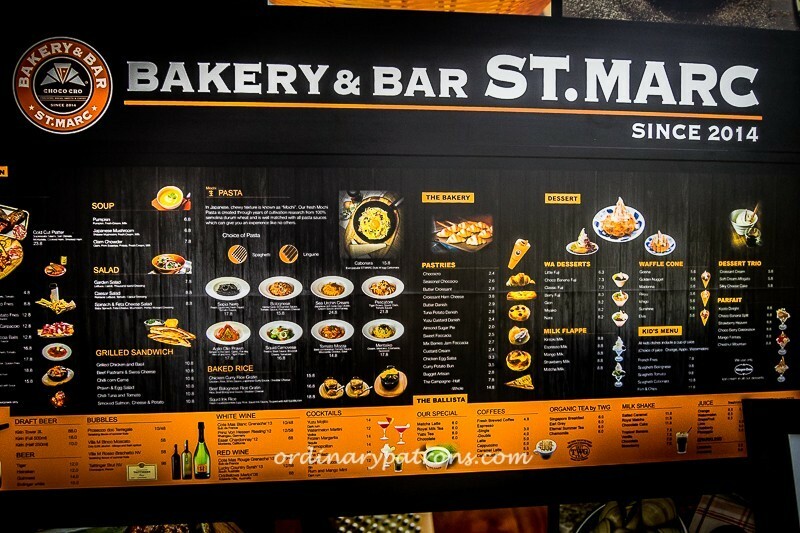 Bakery & Bar ST. MARC is a new dining concept by Saint Marc Cafe offering wine, beer, pasta, tapas and bar food. Sports restaurant bar with cricket and soccer as the main sporting themes. Cuisine is a mix of Indian and Mexican dishes with a variety of cocktails and margaritas. Kebab Station Turkish Cafe offers Fresh Fast Food Alternative – a choice of Beef, Lamb, Chicken or Vegetarian Falafel and a whole range of complementary filling. Dessets and beverages are also available. Opening Hours: 10:30 a.m. – 10:30 p.m.
Starbucks has a nicely decorated cafe right at the edge of the park allowing you to sip your coffee and enjoy a great view of the greenery and the sea. It is within the premises of Cheers Convenient Store and serves the traditional breakfast sets and other local dishes. Parkland Green also houses Tag Team, an indoor multi-weapon laser tag facility which is suitable for children as young as 4 years old. Hvper Sports, specialising in a wide selection of inline skates, urban scooters and skateboards are also there. Parkland Green is at Area C1 of East Coast Park (across the highway from Parkway Parade). The pedestrian underpass from Marine Parade leads right up to Parkland Green. Bus 401 (which operates only on weekends and public holidays) stops right in front of the grounds. Parking is available at the surface car-park with over 300 lots. What to eat at East Coast Park? Parkland Green offers an interesting range of dining and drinking options. If you need more choices, Marine Cove East Coast Park provides other options. We had dinner at Sandbank last night. Delicious hamburgers served with yummy chips…..just the right amount. We’ll be back! Thank you for your comment on Sandbank. That is good to know. being a frequent customer at Patro’s Sports Bar & Restaurant, i find the need to comment on their wonderful service and quality food!! 🙂 their staff makes an effort to remember faces and each time going there is a pleasure due to the homely, welcoming feel. on top of that, their food is of the same quality standard each time my family dines there! I’m a frequent customer at Atmosphere. Great place to chill out on Saturday afternoon, fantastic view of the sea and beach, people watch and drink a few pints of beer.